and a terrible need to give it." "Your heart just breaks, that's all. But you can't judge, or point fingers. You just have to be lucky enough to find someone who appreciates you." and I don't want to spoil any of it by fretting about the future." I honestly think it's the thing I like most, to laugh. It cures a multitude of ills. "I heard a definition once: Happiness is health and a short memory! it doesn't matter because you love them." 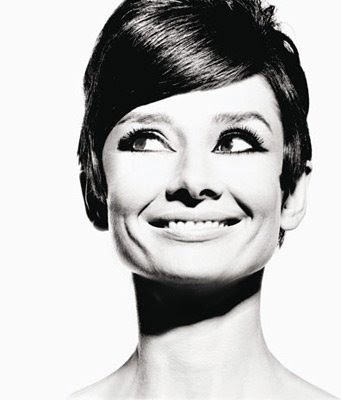 aww i just found a cute picture of Audrey for a post i'm doing tomorrow on my blog! oh, i needed those audrey quotes. especially the carpe diemesque one. thank you! I love the “I was born with an enormous need for affection, and a terrible need to give it.” ; describes me perfectly.